Discussion in 'TalkCeltic News' started by Wee Jamesy, Dec 5, 2017. 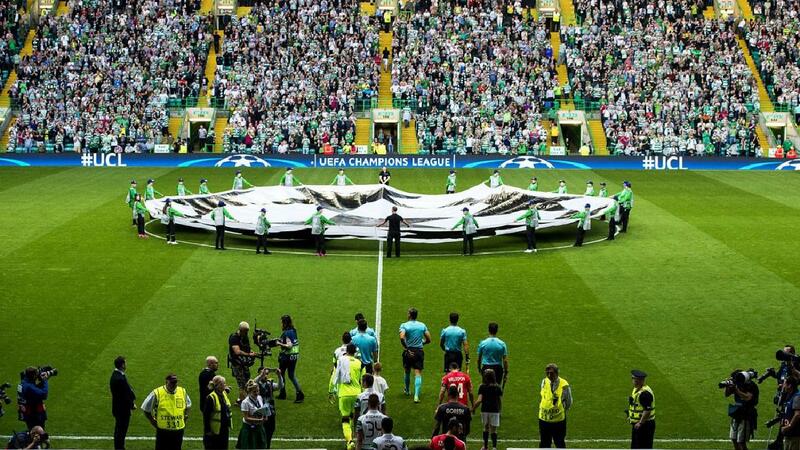 Celtic's Champions League campaign comes to a conclusion tonight, that much is guaranteed. However, the hoops have the opportunity to extend their European journey into 2018 as they come up against Belgian champions Anderlecht at Parkhead in matchday 6. The Hoops grabbed their only 3 points of the group so far away to side from Brussels with a convincing 0-3 win, and hope to replicate that kind of performance to secure a win and qualification into the UEFA Europa League round of 32. Brendan Rodgers' side will be at full strength, as Moussa Dembele returns from a knock picked up in the Scottish League Cup final, although a long term hamstring injury to Patrick Roberts means the in-form James Forrest will be certain to start the match. "We played very well in the first game over there and now we look to finish it off at home," said Rodgers. "They will come to attack and look for a victory but that's also what we want. We want to give the supporters a Champions League win at home. "That would take us to six points, which would show a great level of progress for us at this level." Scott Brown will set a new Scottish record of 69 appearances in Europe's premier competition, passing Kenny Dalglish's combined total with Celtic and Liverpool. On the subject of Brown's record, Rodgers added, "He's in great company with Kenny, who is obviously a real legend here and at Liverpool,"
"It's a mark of his consistency, to have played that number of games under various managers. It's a great accolade and hopefully he's got many more ahead of him." Brown has been one of many consistent performers in a rapidly developing Celtic team that looks far better equipped in Europe when compared with the sides who underperformed in the Europa League for previous manager Ronny Deila. The Bhoys will want to restore their reputation in that competition and can lay down a marker tonight by overcoming Anderlecht, who will be desperate not to finish without points on the board.